Finally, the Indian Head Test Pattern restoration is done, and I offer it for sale! Click HERE after you read this page, for information on how to BUY these patterns! I really found a nice piece of history here! Check out the newest addition to my collection! Please do NOT copy the following photos without my permission. I own these, and you do NOT have permission to download them or use them without asking me first! 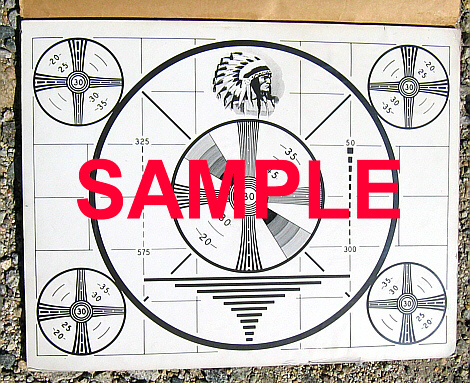 Below are photos of the ORIGINAL art work for the Indian Head Test Pattern! 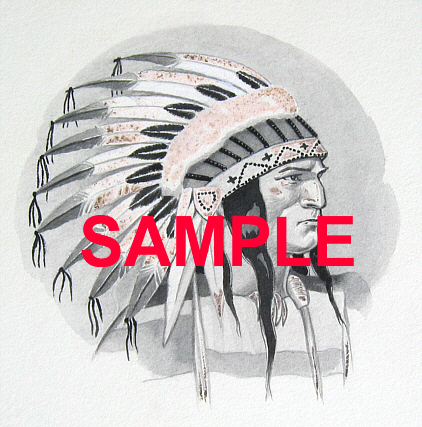 Here is the hand drawn art work for the Indian Head! It is signed, and was drawn in 1938! 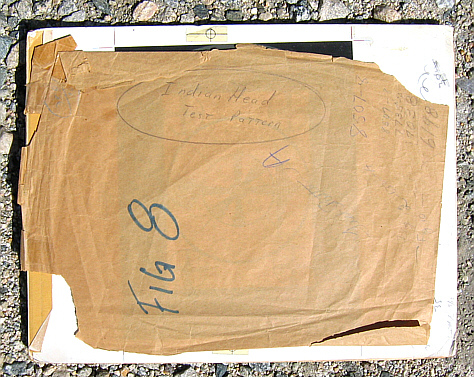 The date and signature of the original artist. 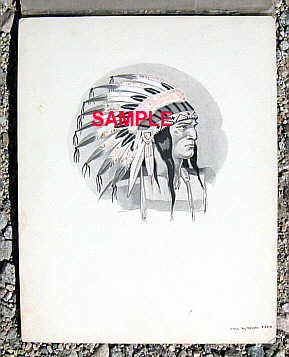 Here is the "copy ready" completed artwork with the Indian Head attached. This is the exact artwork used to produce the pattern on the RCA TK-1 Monoscope Generator, seen on televisions all over the world starting in 1947. 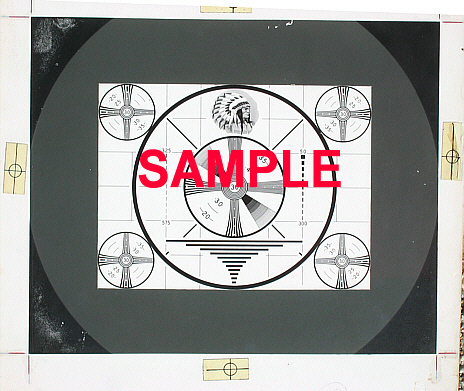 This is the protective cover on the master copy of the Indian Head Test Pattern!!! Here it IS!!! 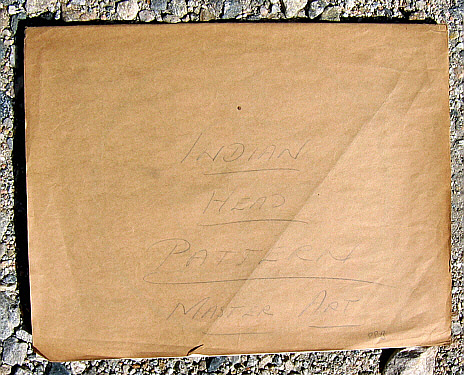 The FIRST original Master copy of the Indian Head Test Pattern, hand drawn in 1939! In the early 1970s RCA closed its Harrison, New Jersey factory and offices. They hired a crew to demolish the building. One of the men working on the crew found this artwork in a dumpster! (don't you just LOVE stories like this)! He took the artwork home, not really knowing what he had rescued from a trip to the local dump! Over 30+ years later, he decided to find out more information on what he had found. He asked a few local Tv stations, and did an internet search. Eventually he found ME! He offerered to sell me the artwork. After a few offers went back and forth, I bought it! Its really that simple! Click HERE to see the RCA TK-1 Monoscope Generator, WORKING!! !